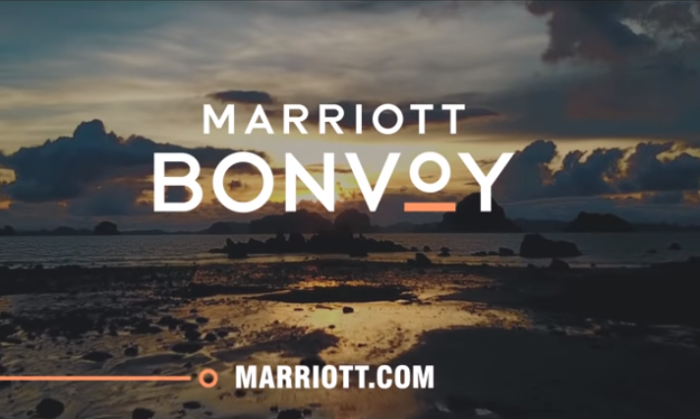 Marriott International has unveiled its new loyalty programme called “Marriott Bonvoy” which repackages its existing loyalty programmes such as Marriott Rewards, The Ritz-Carlton Rewards and Starwood Preferred Guest (SPG). According to Marriott International, the new loyalty programme is built on the belief that travel “enriches” all and the world. Marriott Bonvoy will be launched on 13 February, as the logo and branding rolls out across all consumer touch-points. This includes property, marketing and sales channels, digital, mobile and co-brand credit card bolstered by a multi-million-dollar global media campaign starting in late February. As of 13 February, Marriott Rewards Moments and SPG Moments will become Marriott Bonvoy Moments, which together with Marriott Moments will feature approximately 120,000 experiences in 1,000 destinations available for purchase or by redeeming points. Throughout 2019, Marriott will bring its new loyalty brand through a series of experiential events for members. The company will be tapping on its marketing partnerships with brands such as the NCAA and the FIA Formula One World Champions, Mercedes-AMG Petronas Motorsport, as well as through sponsorships such as the Oscars, Coachella Valley Music and Arts Festival, Dubai Jazz Festival, The Hong Kong Sevens and World Golf Championship – Mexico Championship. Stephanie Linnartz, global chief commercial officer, Marriott International said that Marriott Bonvoy marks an evolution in travel, representing more than a loyalty program. “Marriott Bonvoy is a travel program designed to bring to life our portfolio of global brands in 129 countries and territories, while also providing endless inspiration for members to keep travelling and pursuing their passions,” she added. She explained that the logo is aimed to be “simple, modern, welcoming and optimistic”. “Our 120 million members have access to the world’s leading hotel portfolio at the best room rates and member benefits, as well our collection of Moments experiences that bring exploration and discovery of the world to the forefront,” Linnartz said. Marriott Bonvoy will also usher in a new mobile experience. The current Marriott app will automatically update to become the Marriott Bonvoy app on 13 February. The SPG and The Ritz-Carlton Rewards apps will be deactivated on that date. Marketing has reached out to Marriott International for additional information. Last year in March, Marriott International appointed Publicis Groupe’s SapientRazorfish and Spark Foundry as its global media agencies to oversee all media planning and purchasing. The appointment also covers 12 markets in Asia Pacific, including Singapore, Malaysia, Hong Kong, China and the Philippines. The incumbent on the account was GroupM’s Wavemaker. Publicis Groupe has also been working with Starwood Preferred Guest (SGP) for over 15 years. This was prior to Marriott’s acquisition of Starwood Hotels & Resorts Worldwide in 2016 for US$12.2 billion in stocks and cash to create the world’s largest hotel company. This also saw the companies combining their loyalty programmes – Marriott Rewards and SPG. Retailers are now looking to poach rivals' customers via social 'conquesting' on Twitter. .. Sing Tao News Corp reveals an initiative for the final issue of Sudden Weekly (忽然1周), all created to boost its flagship title, Eas..
Group M has restructured and grouped all paid digital media capabilities under the newly created umbrella of Connect and hired a n..